An overview of Ammo, how to install and use, theme options and examples, and more. We would like to thank you for purchasing Ammo! This documentation file helps you to understand the whole theme concept and how it works. You should read all sections of the file before start your work. Here have multiple detailed explain of elements, theme sections and included video tutorials. If you have any questions that are beyond the scope of this help file, please check out Knowledge base and search for Forum page. After that you still can't find the solution yet, please leave a ticket on Support system then support agents help your issue. Surely you have already installed WordPress on your server. If you don't installed it yet and you are new to WP and have problems installing it, you might want to check out following tips. You need to download theme files after you've purchased the it. Following image describes downloads section of the item and you have 2 download choices. You can use this file for install function of built in WordPress. Child theme. Please make your file changes in it. And this child theme helps you to keep your changes in it even updated main theme continually. You should read more details about child theme here. This contains the licensing files. You have an One Click option for import demo data. But if you need detailed xml files please pick up those here. You should read about how to use it from Dummy Data part of this document. Contains changes history, date and modified files list. Downloading the installalable WordPress theme only gives you the Ammo.zip file. 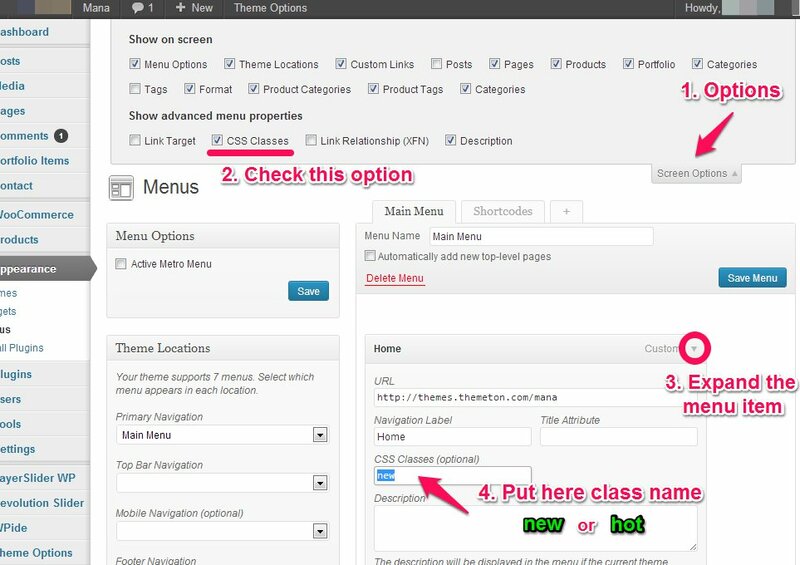 You can either choose to upload the theme via WordPress upload function or via ftp to your site. Click on Upload link and Browse to the Ammo.zip file (it is located in the folder you've downloaded from ThemeForest). Then you see Ammo settings page right side on Dashboard menu section. Now you are ready to go. Create your new site and control it. Refresh Appearance -> Themes of your dashboard and Activate the theme. After the activation you see this notice at top of your dashboard. This theme requires those three additional plugins and you need to install those. Please click on Begin insalling plugins. 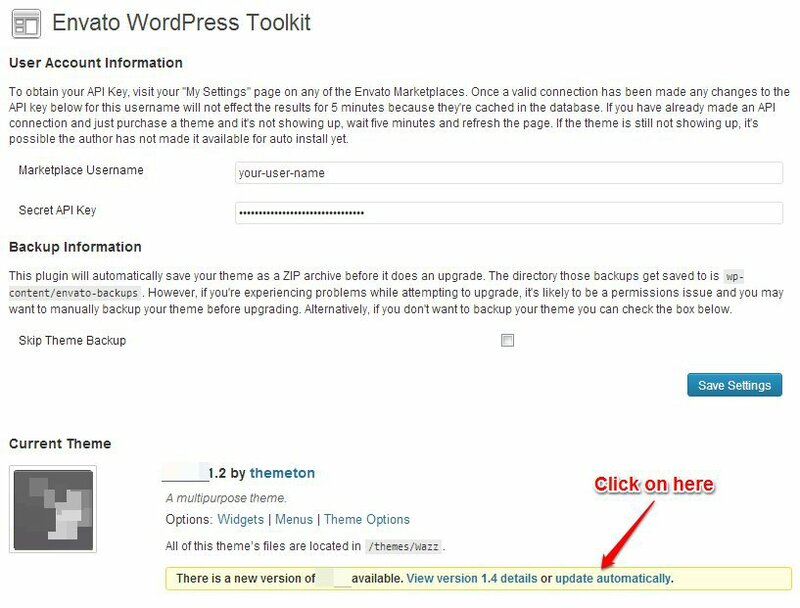 The Envato WordPress Toolkit enables you to access your Envato WordPress purchases from within your WordPress Dashboard. 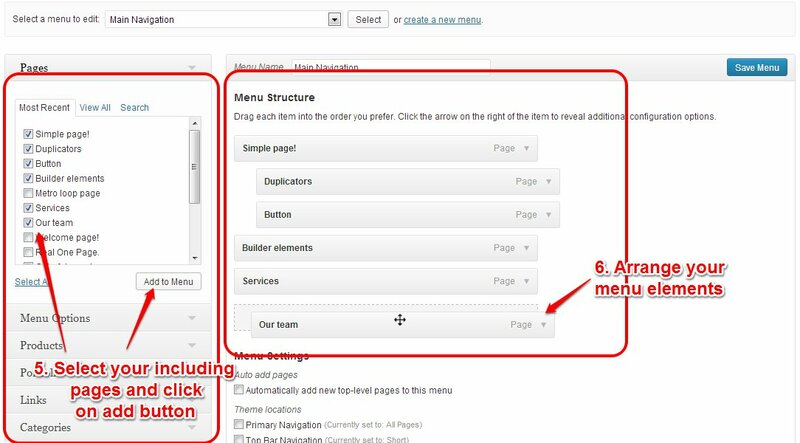 It allows you to not only install themes, but also to receive update notifications and update automatically, just like regular WordPress themes. The most advanced Responsive WordPress Slider Plugin with the famous Parallax Effect and 3D Transitions! You can use LayerSlider to create a breathtaking Image Slideshow, Banner Rotator or Content Slider to your site! This is a premium high quality designed image and content slider for WordPress, with super smooth hardware accelerated transitions. It supports touch navigation with pure swipe gesture that you have never experienced before. Please select all plugins and select Install option on dropdown and finally click on Apply button. You will see this page after activated plugins. Envato Toolkit plugin requires MarketPlace username and API Key. You can get API key from your Settings tab of ThemeForest account. Lets provide those infomation and get theme update anytime and easily. Theme has dedicated data option. You should click one of those link and select your desired home page layout. Action will set few important tasks including selection of Home page, Main navigation setting and Sidebar widgets when you click on Import Demo Data button. Please wait for a while until imports all the content. Revolution slider exports slider content with image and css files into a zip archive. But we don't want to include all those files into our theme zip and increase theme archive size. If the theme is getting bigger, you'll face many problems related that for example, exceed of upload file size limit or execution time problem. Therefore this option includes only slider content and layers. Images and css styling come from online demo site and if you don't see proper layer styling there, please insert demo sliders from dummy-data folder. Or you can edit those sliders and replace your images and styling. 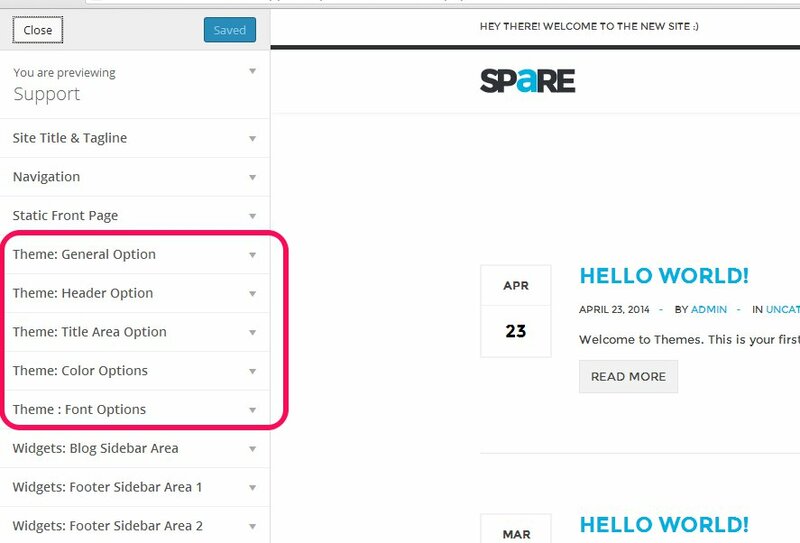 Previous option helps you to include minimized demo content on your site reason for quick include. But you can have full demo data with regular XML data imports. Upload the demo content.xml using the form provided on download. Please make sure you backup your existing theme folder before updating. Additionally we recommend performing the update on a development site before making it on your live site. Hope you have provided your account information in Envato Toolkit plugin. If you go to the plugin page, you'll see similar to following image. Let's click on Update automatically link at right bottom. This is a most efficienat and easy way to integrate latest verion on your site. After clicking to auto-update, you’ll see the confirmation that everything worked correctly. Go to the Appearance => Themes and activate another theme than Ammo such as TwentyTwelve, TwentyThirteen or Ammo child theme. Delete the old version of the theme because folder name existing error comes up when we try to install it without deletion. Then install the theme again as you see early in this documentation. Usually updating a theme means replacing the old files with the new ones. You can see changelog.txt file from the new download archive and you can get updated files list as modified/added and deleted. 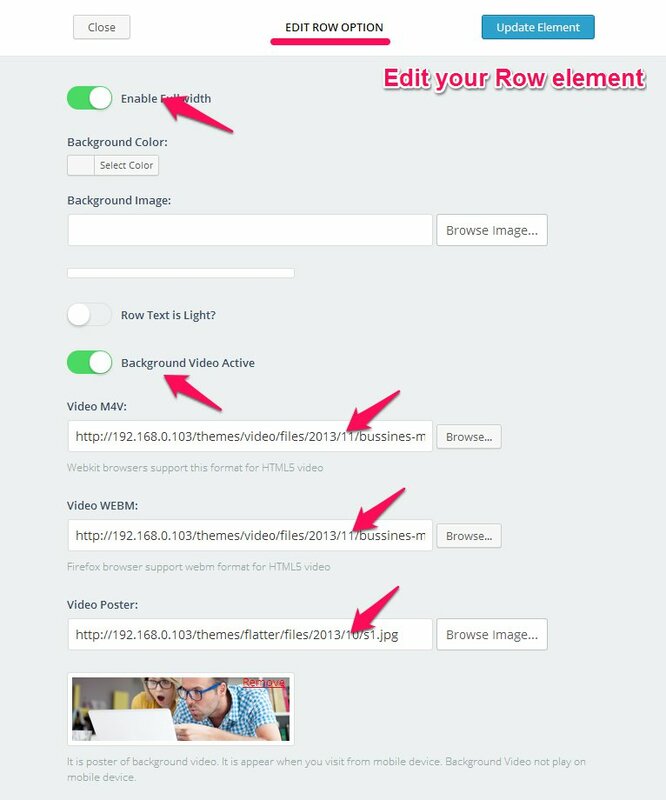 Upload and overwrite those files on your theme directory. 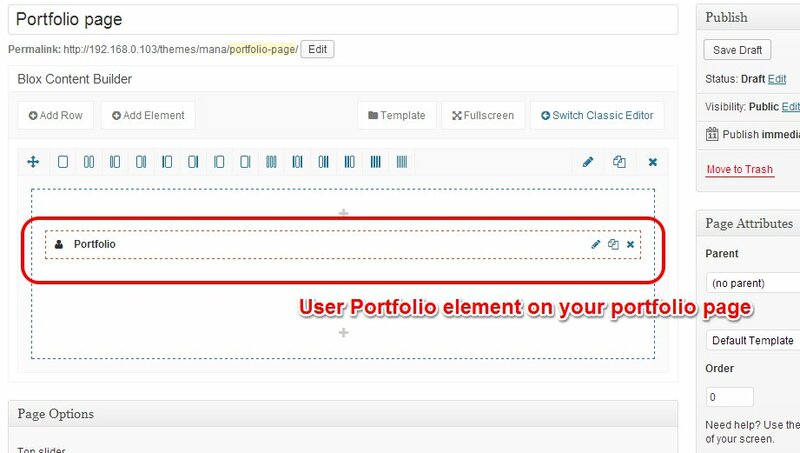 If theme changed lots of files and you really hard to collect changed files, there is a better way to do it when it comes to WordPress themes. 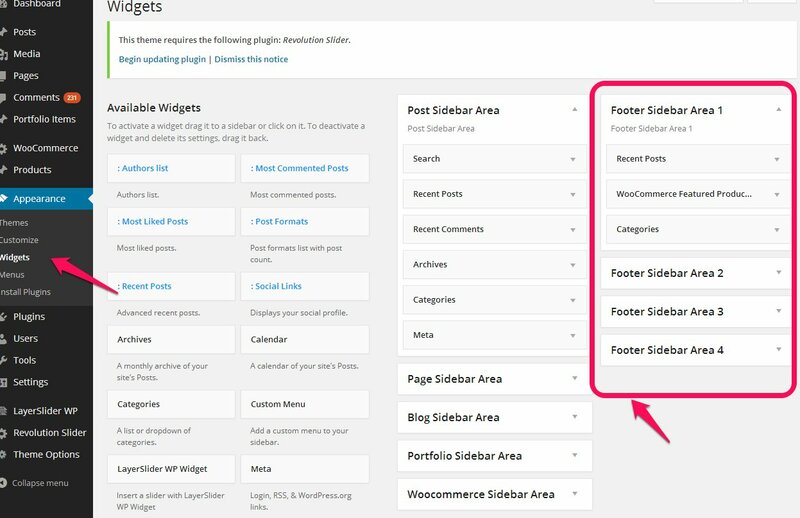 WordPress treats two version of the same theme as different themes. That is, if you have Ammo v1.2 and v1.3 in your wp-content/themes folder they are treated as two different themes independent of each other. 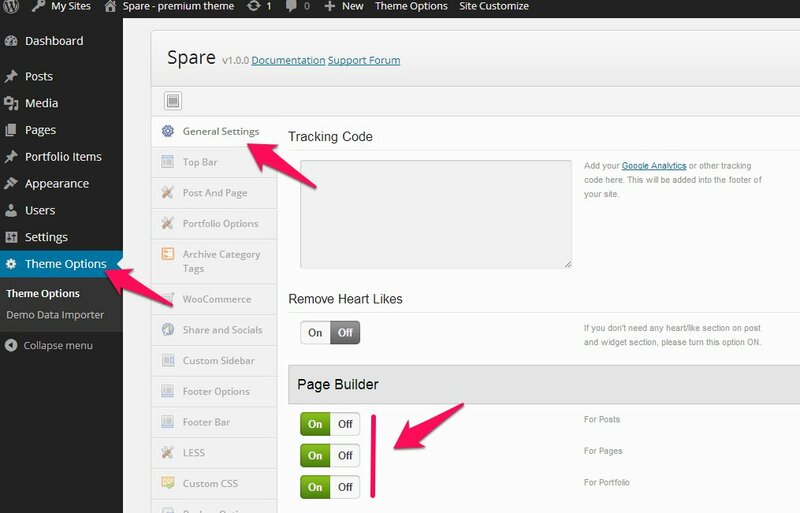 That means you can have multiple version of the same theme installed on your blog. So whenever there is a new version of your theme available, instead of replacing or deleting the files of the older version follow this procedure. If the folder name of the new version clashes with the old version, rename the folder of new version. 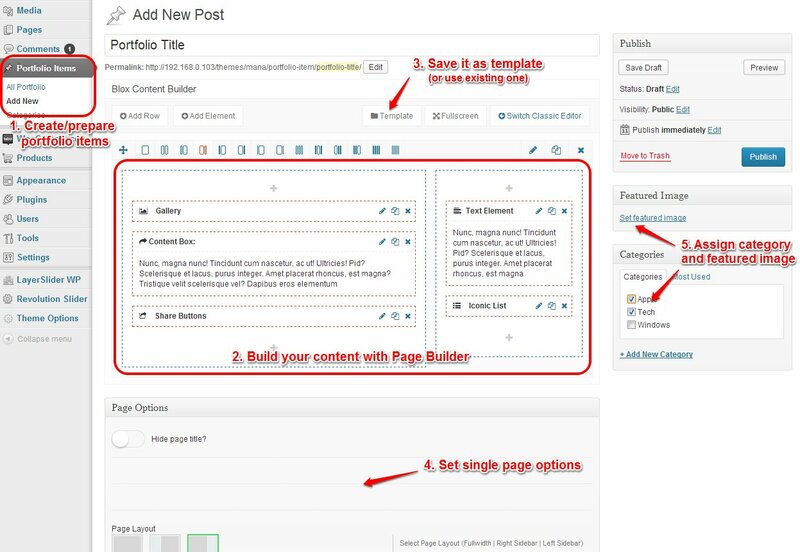 Upload the new version to your wp-content/themes folder via FTP or through the interface provided by your web host or by using the upload feature in WordPress. Activate the new version from your dashboard. The main advantage of following the above procedure is you can quickly switch back to the old version of the theme if you find any problems with the new version or if it clashes with any plugins you are using. 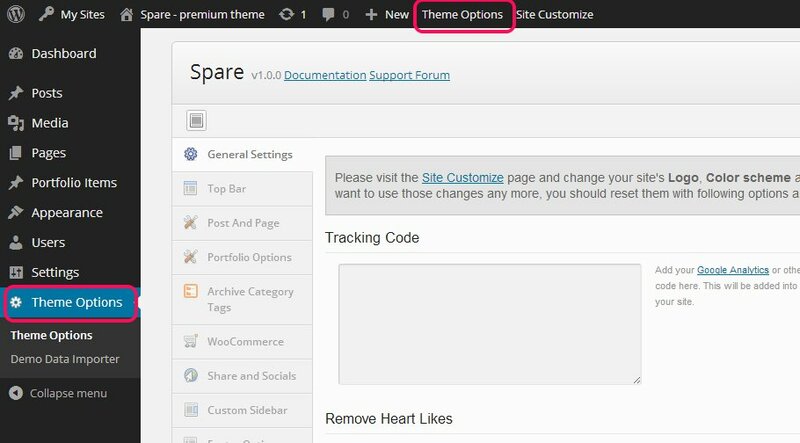 Theme Options panel has many options those help you to control your site. You have to know only where your desired options exist and how to use them. Please take some time to navigate through each tab and read option's description. General Settings Reset Colour Options Reseting color options value. Responsive Option Use Responsive design layout. Tracking Code Add your Google Analytics or other tracking code here. This will be added into the footer of your site. Remove Heart Likes If you don't need any heart/like section on post and widget section, please turn this option ON. 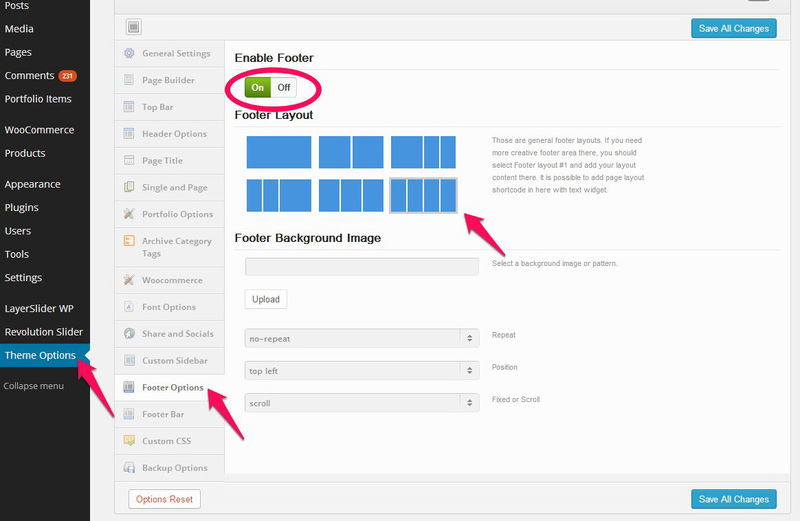 Page Builder You can deactivate Page Builder featured on specific post types such as post, page and portfolio. Top Bar (Left) Please add elements here and order them with mouse drag & drop. Top Bar (Right) Please add elements here and order them with mouse drag & drop. Text content 2 Please add text content for your top bar. Social Profiles on Top Bar Please add text content for your top bar. 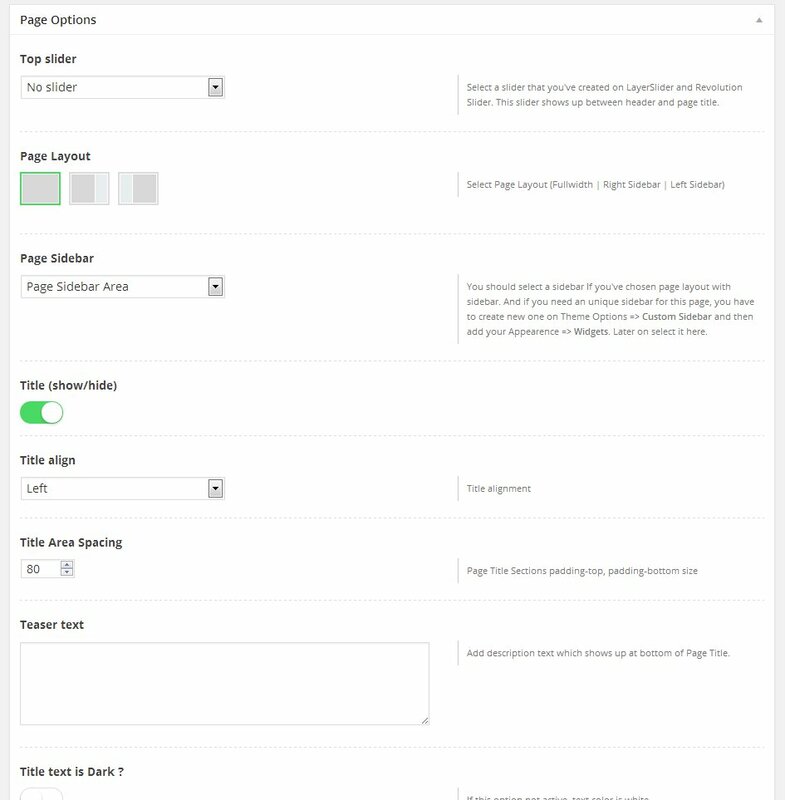 Post And Page Post Format in Single If you turned this option OFF, post format content won't show on single post pages. Related Posts Related posts on bottom of post content in single post page. Comment on Posts WordPress has its own way to disable comments in a Post. But you should turn this option OFF if you want to remove comments for all your posts. Comment on Pages WordPress has its own way to disable comments in a Page. But you should turn this option OFF if you want to remove comments for all your pages. Portfolio Options Portfolio Slug Portfolio slug that should be show at url for portfolio single items. 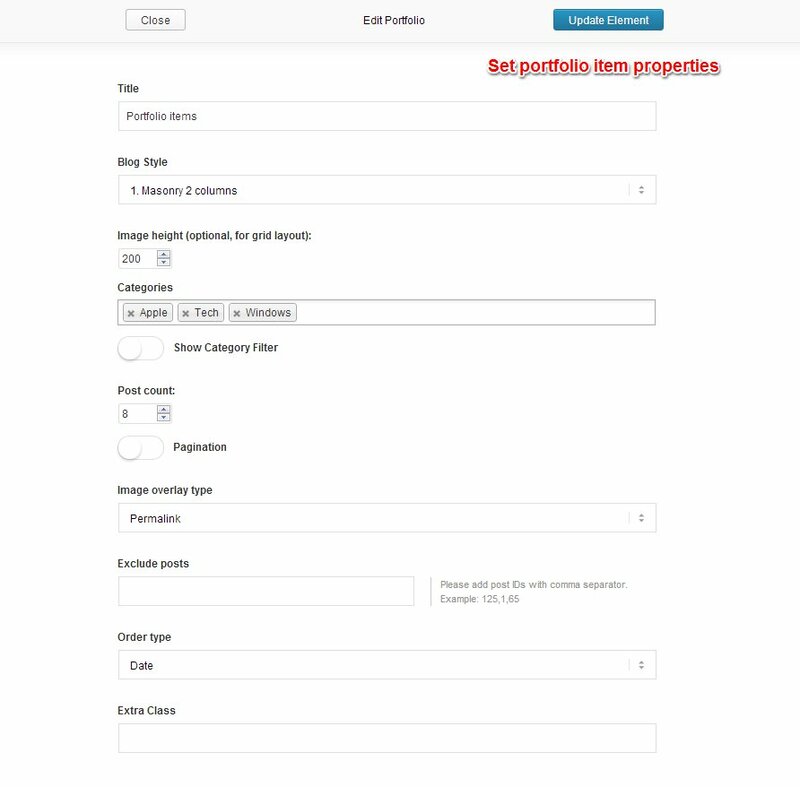 Portfolio Columns Item column on Taxonomy / Category page. You can select 2, 3 and 4 columns layout. Comment on Portfolio item page WordPress has its own way to disable comments in a Page. But you should turn this option OFF if you want to remove comments for all your pages. Portfolio Next Prev Links at Top You can turn off Next Preview and Main page links at right bottom on single portfolio page. Main Portfolio Page A page which shows when click on View all button from single portfolio item. 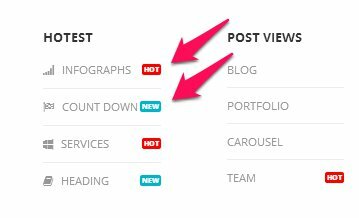 Portfolio Related Posts at Bottom Portfolio Related Posts at bottom of your portfolio item page. 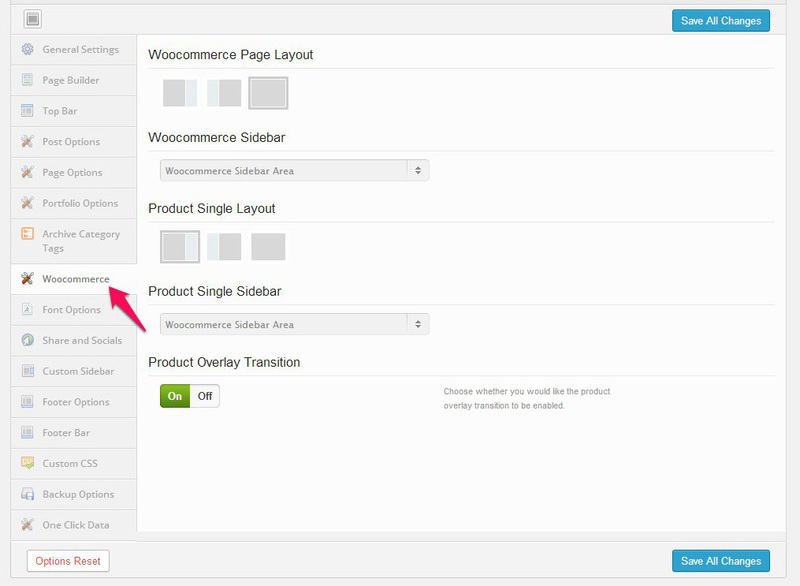 Product Overlay Transition Choose whether you would like the product overlay transition to be enabled. Custom Sidebar Custom sidebar You can create unlimited siderbars for your site. You should add widgets on Appearance=>Widgets after you have added new sidebar here. Footer Options Enable Footer Those are general footer layouts. If you need more creative footer area there, you should select Footer layout #1 and add your layout content there. It is possible to add page layout shortcode in here with text widget. Footer Layout Select a background image or pattern. Footer Bar (Left) Please add elements here and order them with mouse drag & drop. Footer Bar (Right) Please add elements here and order them with mouse drag & drop. Backup Options Backup and Restore Options You can use the two buttons below to backup your current options, and then restore it back at a later time. This is useful if you want to experiment on the options but would like to keep the old settings in case you need it back. Transfer Theme Options Data You can tranfer the saved options data between different installs by copying the text inside the text box. To import data from another install, replace the data in the text box with the one from another install and click "Import Options". The theme has detailed site customization options which builtin WP Customize functions. 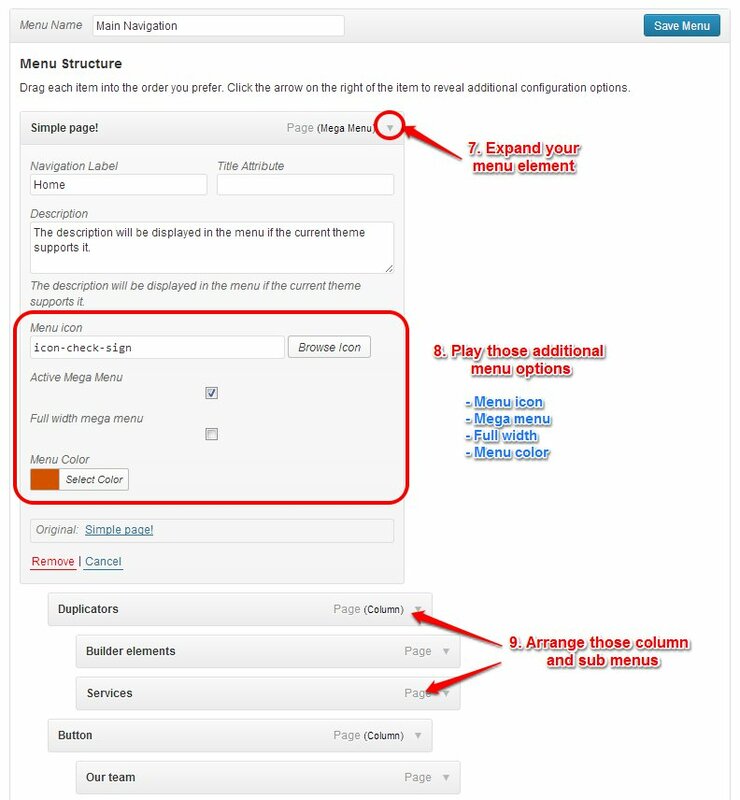 Please click on Site Customize link from the WordPress admin bar and use the dedicated options for your specific parts. Please find & read description of options and see what they can do from here. General Option Container Layout You can set site layout here. You have fullwidth and boxed variations. Choose an Element. All elements are based on WP shortcode. 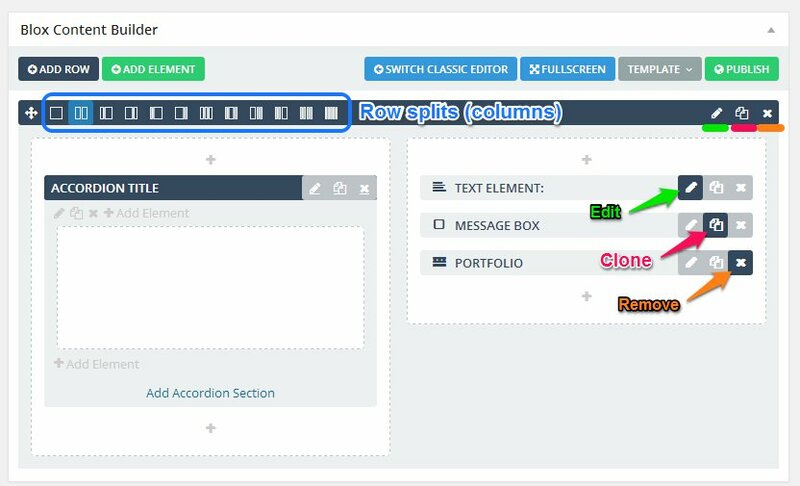 All elements have common controls such as Edit, Clone and Remove. Also you can order and arrange elements with Drag and Drop. You can save current layout as a Template. Then you can apply it on another pages. Ammo supports WP 3.6 post format and this style is inherited by 3.6. But it doesn't matter and works equally if you are using previous version of WordPress core. link - A link to another site. Themes may wish to use the first <a href=""> tag in the post content as the external link for that post. An alternative approach could be if the post consists only of a URL, then that will be the URL and the title (post_title) will be the name attached to the anchor for it. Yeah, I hope you like One Page design already. Here you can see how to accept One Page with this theme. Prepare you pages as you want there and follow the steps in this image. The page template gives you an unlimited possibility. First you need to Page Template as Ultimate. Then related 2 option boxes appears at bottom of main content editor. Second box is Less Options for this page. You can customize your css style here. You see background image moves different apparent position when you scroll you page down. 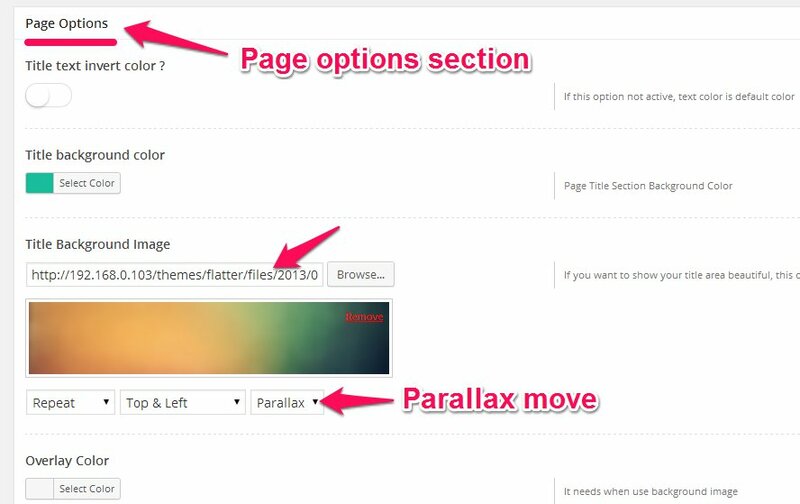 That parallax effect can apply for background images of Page and Row element. You can set up this beautiful option like following. 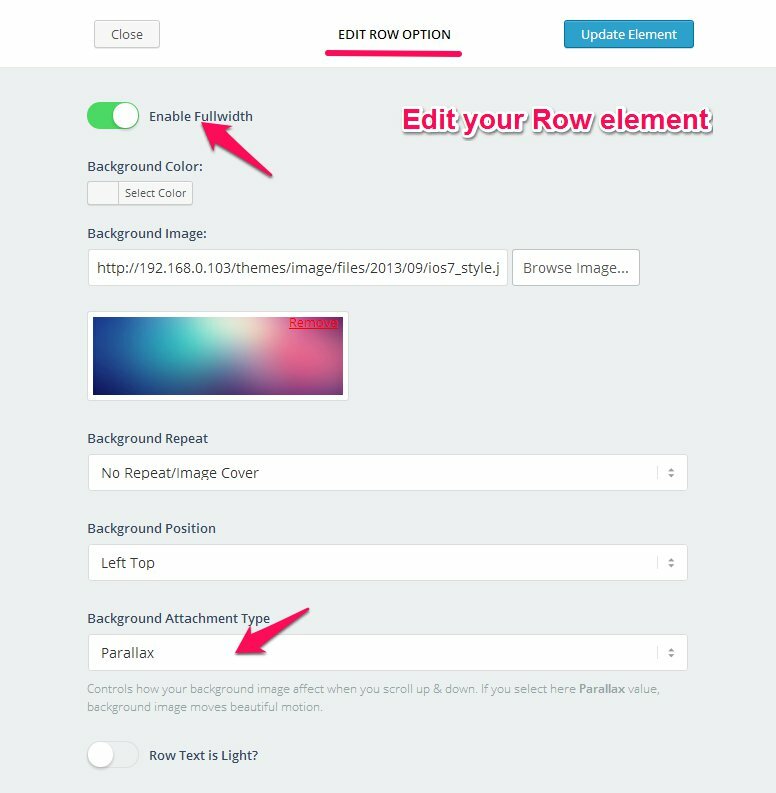 Lets edit your Row element and set video options. Most of themes provide portfolio single layouts. But we don't because our theme has Page Builder. You can build any custom layout and use it with Template for all of your portfolio items. You can show your portfolio items as Gallery and Video posts. Please use following options for your need. 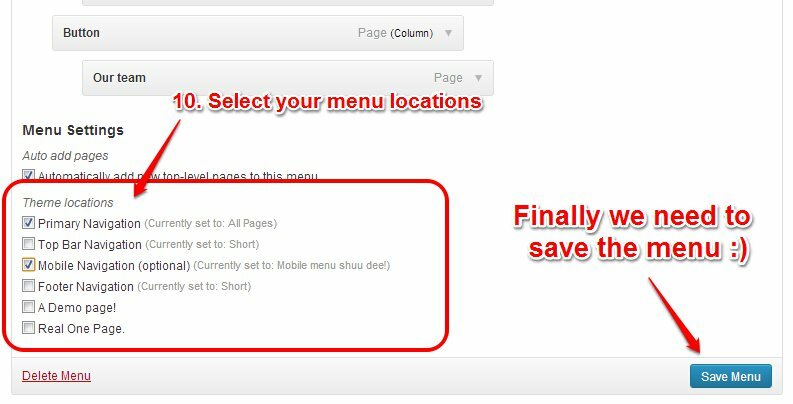 You need to do following steps for your menu. If you need to use your custom menu icons there, you should upload them on Icon field as above image. You need to resize and upload there proper image and control your image icons with this css selector. If you need sub menu treasures (only for sub elements of mega menu), you should make following changes on your sub menu elements. Automatic installation is the easiest option as WordPress handles the file transfers itself and you don’t even need to leave your web browser. To do an automatic install of WooCommerce log in to your WordPress admin panel and go to: Plugins > Add New. In the search field type “WooCommerce” and click Search Plugins. Once you’ve found the plugin you can view details about it such as the the point release, rating and description. Most importantly of course, you can install it by simply clicking Install Now. After clicking that link you will be asked if you’re sure you want to install the plugin. 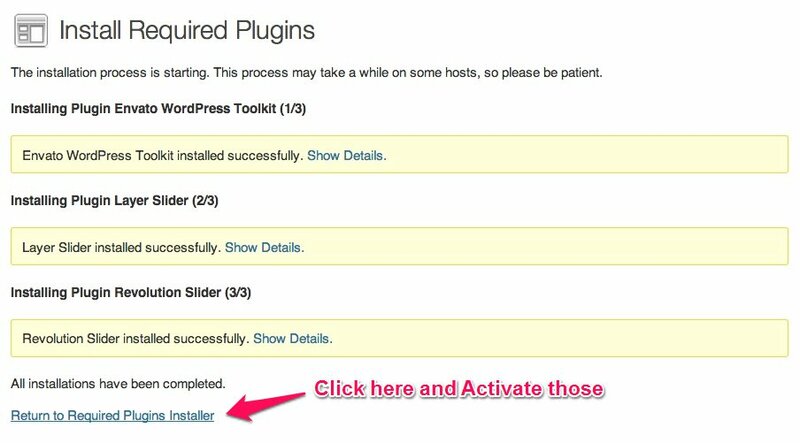 Click “yes” and WordPress will automatically complete the installation. It’s possible at this stage that you will be taken to a page requesting the FTP details of your webserver. This will be the case if you’ve not installed a plugin on this particular installation of WordPress before. If so, simply fill in your details to complete the installation. The manual installation involves downloading the plugin and uploading it to your webserver via your favourite FTP application. After you’ve installed and activated the plugin, be sure to select ‘Install WooCommerce Pages‘ to get started. If you need more detailed documentation of WooCommerce usage, you should visit this link and get your information. Very first we need to select Footer layout on Theme Options => Footer. Then we need to add widgets into Footer Sidebar area on Appearance => Widgets.